Put cucumber, onion and chicken broth in a small saucepan, bring to a boil then reduce heat and simmer until softened. Transfer to a blender or food processor and puree with dill and cream until smooth; add salt and pepper according to taste. Pour into a container with a pouring spout. Cover and refrigerate to chill until ready to serve. 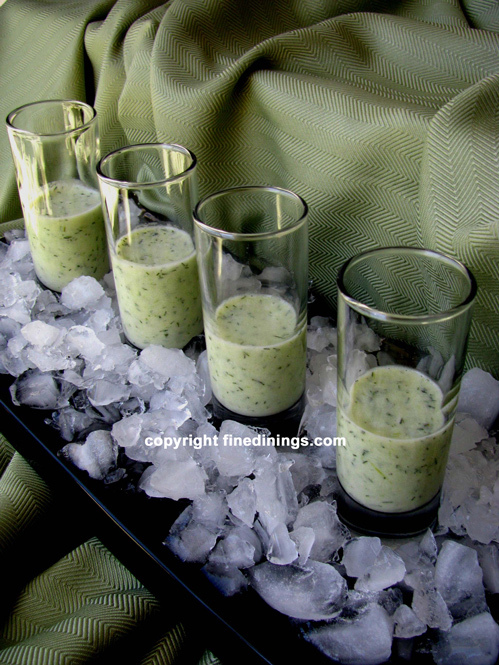 Place crushed ice on a serving tray; pour 1 to 2 tablespoons soup into each shot glass, arrange on the tray and serve your guests... very impressive!